I'm new here and to the STi world. I have seen a lot of good stuff here and happy to share my STi experiences with everyone and learn from you.. I have a 2004 dashboard installed on my swapped STi 2006. It doesn't have the REV limiter, RMP alarm or Outside Temp functions on it. It comes with the Deff settings. Imported. On startup, it doesn't do a sweep at all. I wonder if it is normal on this one or there something missing. 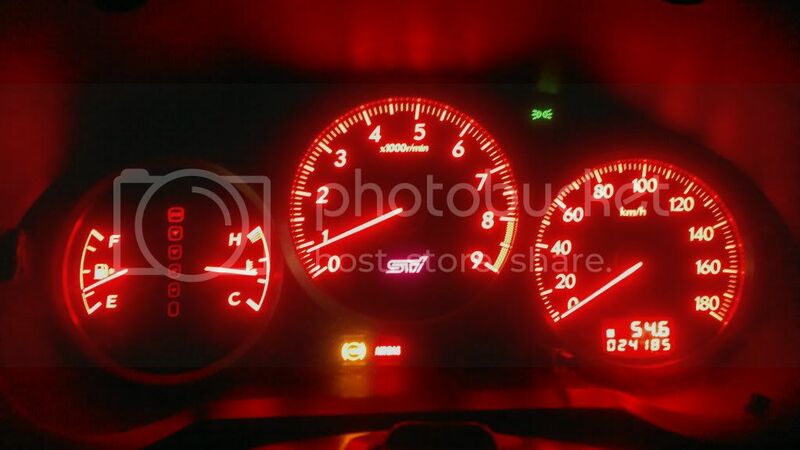 I have just put a set of these gauges in to my sti 03 and they are out of an 04 but i have the rev limiter and rpm alarm and outside temp maybe you not having this three other things is stopping it from doing the sweeping mine are fine doing the sweep but DCCD light and Diff Temp light stays on but i dont have the DCCD anyway did u have this problem? Have you converted the kph to mph? iam looking to do this but dont know how i know you can get a converter but as my car is uk spec will it still convert the dash to mph?